January is flying by, and Valentine’s Day will be here before we know it! Every year I love thinking up fun, heart hairstyles. The #CGHFluffyHeart is super cute and perfect for all of the littles’ Valentine’s Day festivities! 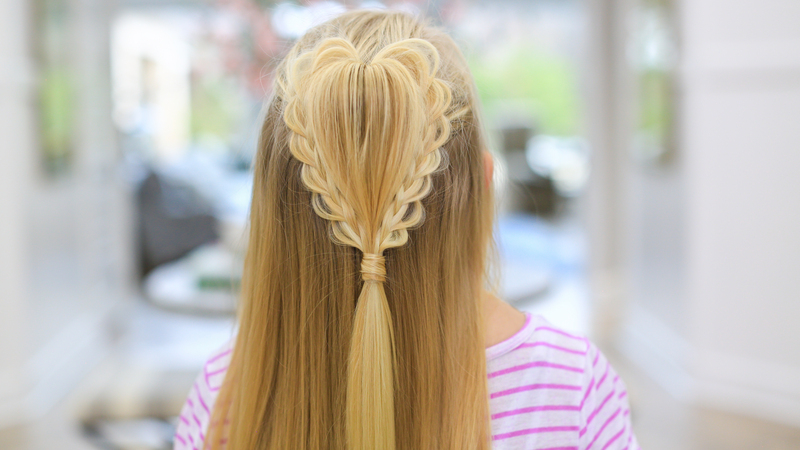 This heart hairstyle just may be one of my favorites. Start about an inch above the ear and pull the hair into an elastic. Find the center of the elstic, make a hole, and flip the hair in the elastic from the bottom up to the top. Separate the ponytail into 3 even sections. 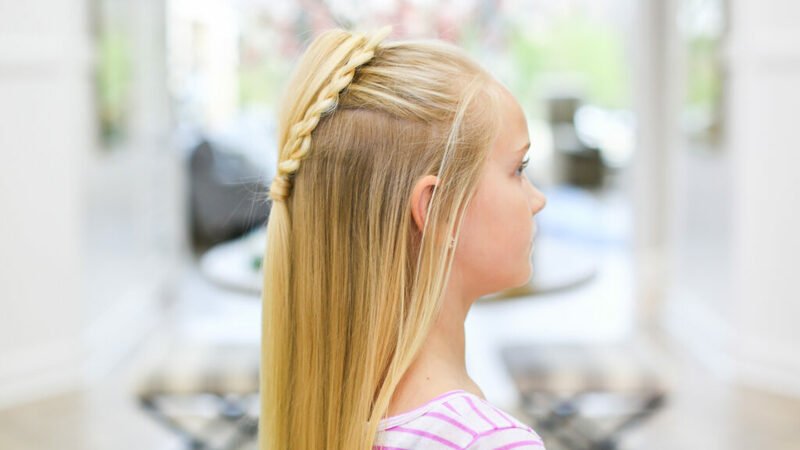 Begin on the right section and make a 3 strand braid. Pancake the outside edge of the braid. Repeat step 5 on the left side. Fluff the middle section of the ponytail by backcombing the base slightly. Secure the all 3 sections of the ponytail together with an elastic. Pull at the base of the ponytail to make it tighter and to accentuate the heart shape.